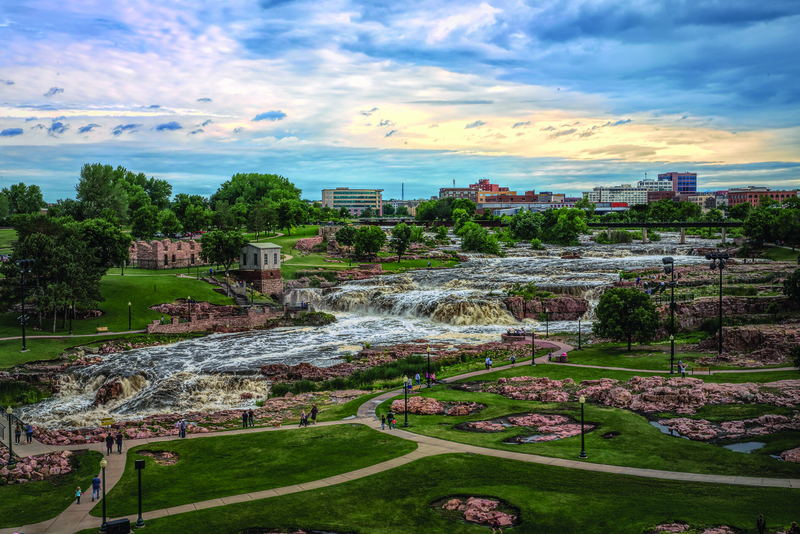 Big Sioux River flows through Sioux Falls creating an exciting city with beautiful waterfalls to explore. 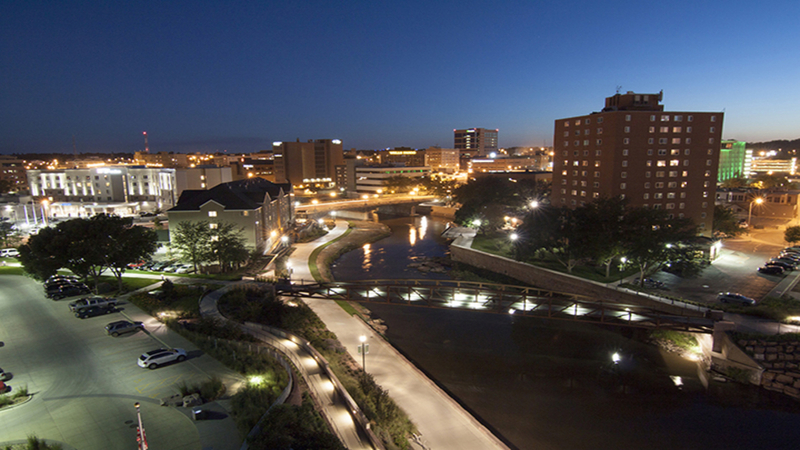 Sioux Falls, located in the state of South Dakota, is famous for more than you may realize, and is very active year-around. There are all levels of cafés and restaurants to chose from. It has an historic downtown full of great shops, unique museums, and their famed sculpture walk… just a few of the top things to do in Sioux Falls. Driving cross country, you will want to stop at Mount Rushmore on the west side of the state and include Sioux Falls on a tour of the east side. Several major airlines, including American, Delta, and United, fly into the Sioux Falls regional airport daily. Sioux Falls is the largest city in the state of South Dakota, and exploring this part of the US Midwest should not be left off anyone’s buck list. One of the most beautiful waterfalls you will see anywhere is located at the north end of town in Falls Park. The park covers 123 acres and is full of unique viewing locations, with grassy areas to sit and spend the day enjoying the multiple cascades and impressive rock formations. One of my favorite places to take an Instagram shot is from the lower bridge. There is a children’s play area and an open-air shelter with electricity that can be reserved for special events, and a farmers market that is open on Saturdays, May through October. During the winter, the park is decorated with lights, making it very festive. Be sure to pop into the Visitor’s Information Center. It claims to have the largest selection of Sioux Falls memorabilia anywhere. Attached to the visitor center is a five-story enclosed viewing tower with an outdoor observation deck, and an elevator is available. The tower provides a breath-taking 360-degree panoramic view of the Falls and city skyline. 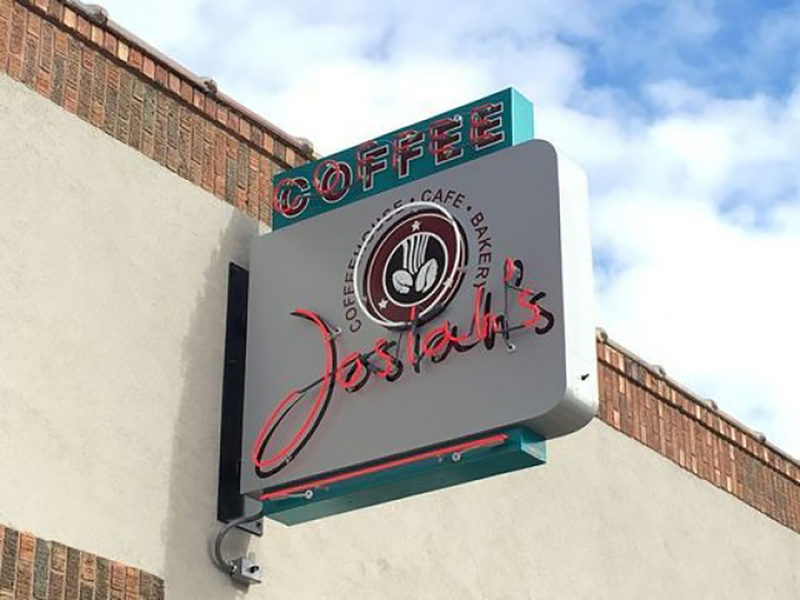 Josiah’s is a great place to start your day exploring the historic downtown area. They serve a full breakfast and lunch menu, and make all their bakery items from scratch (they go well with their selection of coffees and teas). The café is dog-friendly, so bring your four-footed friend with you. The coffeehouse is quite large with plenty of windows along the street from which to watch the world go by. There is even a meeting room, Phillips Gathering Place, and the fireplace offers a warm respite on those chillier mornings. When we were there in October, they also had a pumpkin patch out front to find your Halloween pumpkin while you sip your hot cup of coffee. Josiah’s is located around the corner from the Sculpture Walk on W 12th Street. Grab a cup of coffee and start exploring Sioux Falls historic downtown. 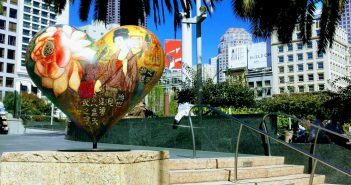 The Sculpture Walk will take you through the heart of the historic downtown. It is a public art project that started 15 years ago, and each year, in May, a new set of 57 sculptures is mounted on different size rock pedestals for display. In 15 years, there have been 777 unique sculptures displayed on the Sculpture Walk, many of them created by today’s top local and international sculpture artists. As we wandered up and down S Phillips Avenue, we were amazed at the detail, creativity, and use of materials in the sculptures. Some were tall and large and others delicate and light. But they expressed whimsy and honor, love and creativity, and above all, a dedication to the varied craft of sculpturing. The public is invited to vote for their favorite sculpture, with the winner receiving the People’s Choice award. The annual winning sculpture is purchased by the city, and remains in Sioux Falls, on display in an appropriately worthy location. This year’s winner was a charismatic frog. 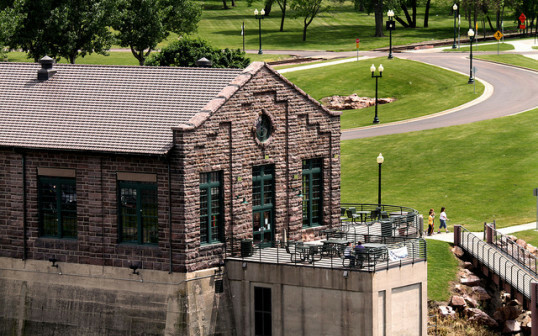 One of the top things to do in Sioux Falls is to visit the lovely Falls Overlook Café. This café has breathtaking views of the falls that you can enjoy while grabbing lunch, and specialize in comfort foods like grilled cheese and tomato soup. It is located in the historic Sioux Falls Light and Power Company building that was built in 1908. One word of warning: it does close in October for the season (although it is available for special events year-around). In case you overeat, you can enjoy taking a beautiful walk around the falls. Or maybe get that second cup of coffee and be mesmerized by the waterfalls, in the indoor or outdoor seating. Arc of Dreams is a new massive stainless steel sculpture by artist Dale Lampere. It crosses the Big Sioux River downtown between 6th and 8th Streets. Years in the making, the sculpture is scheduled for completion in 2018, its span across the river almost the length of a football field (285 feet long). It stands 70 feet above the river with an 18-foot gap between the two sides. Titled Dream Big – Live Big, the arc represents believing in your vision, taking that leap of faith, following your dreams and finding success. You can easily make a day of taking a drive over to the Great Plains Zoo and the Natural History Museum, a fun trip that’s great for all ages. Looking for something unique and different? Then why not feed a Giraffe! This is a seasonal weather permitting activity, but is a superb one of a kind experience. The gift shop and coffee bar is open all year, and the Maasai Market Café is open seasonally. There are wheelchairs and motorized scooters for rent to help everyone see and enjoy the zoo. After strolling around and enjoying viewing the zoo animals, step into the Delbridge Museum of National History. The Museum has a unique collection of 150 specimens, which were legally hunted at the time. 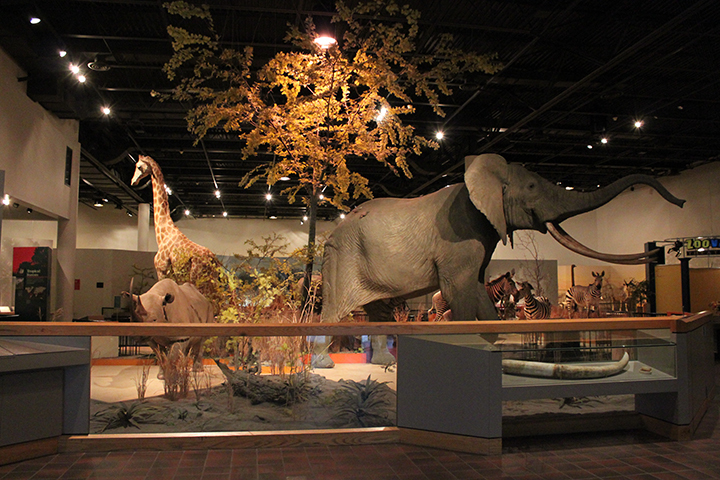 The displays, from six continents, are grouped geographically and by habitat. There is informative signage throughout the museum that focuses on how different animals adapt to their particular environment and what their current status is in the wild. Looking for something obscure and less traveled to visit? Why not visit the Sioux Empire Medical Museum. You’ll certainly come away with an appreciation of just how far our medical practices have come. The museum is free and loaded with all kinds of medical history. Learn about medical advances from the early 1900s to today. 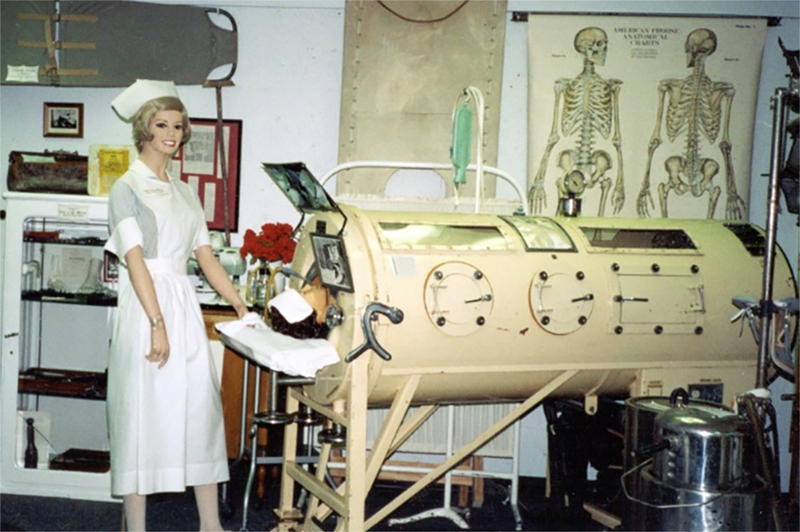 On display are an old operating room and a 1940s iron lung. The museum is staffed by retired healthcare workers that have many wonderful (hopefully not scary) stories to share. A great stop for all ages. This museum is located at Sanford Hospital, and can be a little hard to find, so be sure to ask if you have any problems locating it. Instead of driving by, be sure to stop and take a peek at this small unique museum. Minerva’s restaurant has been a downtown treasure for over 40 years, and is one of the cities most popular dining establishments. The restaurant still uses tablecloths, and with all the dark wood it gives an old world feeling of warmth. When we first walked in, it reminded me of a restaurant you might find in New York City. With my food allergies, the staff was accommodating and friendly. When there was a question, they came back to ask me if it was okay or not – something I appreciated. The food was delicious. One of our group partook in the Specialty Salad Bar, which turns out to be very well liked by the locals. The salad bar also includes homemade soups and seasonal fruit. Eating here was a great way to end our day. 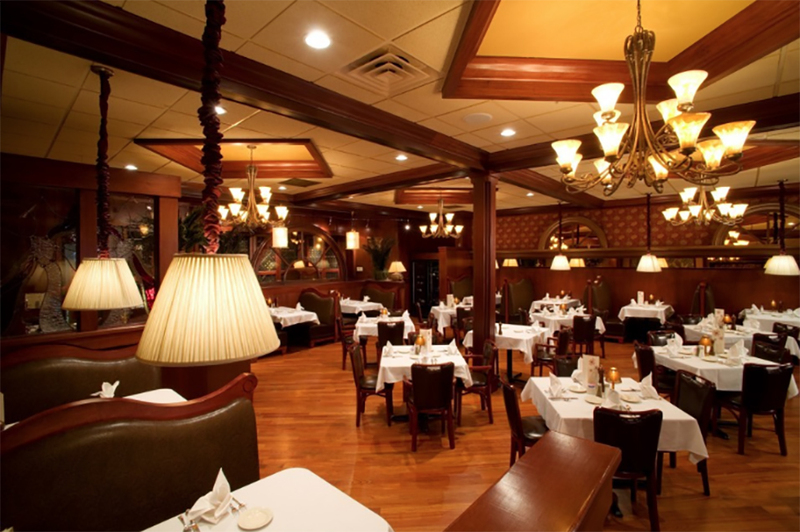 The interior is warm and comfortable, the food was delicious, and the staff was great. The location is perfect for lunch while exploring the historic downtown or a night out. 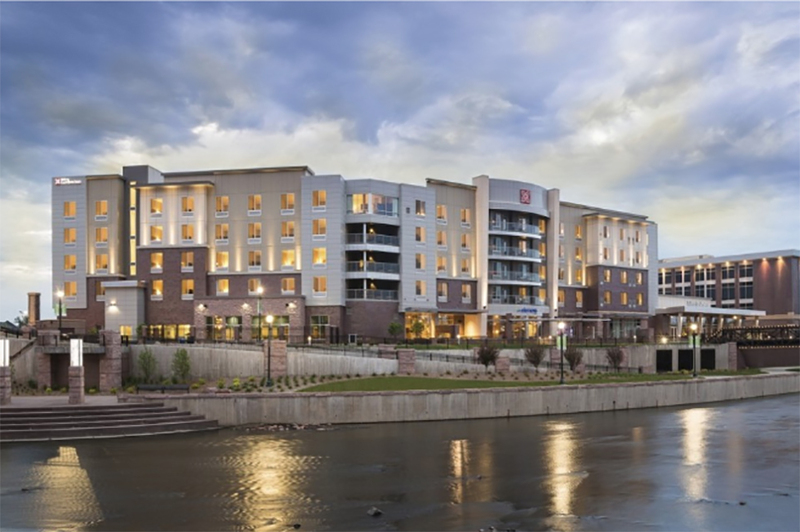 Beautifully located overlooking the Big Sioux River, the Hilton Garden Inn Downtown offers plenty of areas to enjoy inside and out, including a walkway along the river. It is close to downtown, the Falls, and the airport, and an airport shuttle is available. The hotel offers an excellent variety of rooms and suites. We stayed in a king suite, which had a large private outdoor balcony overlooking the river. The rooms have plush Serta Perfect Sleeper Beds, complimentary WiFi, microwave, HDTV, and generous workspace. If you want to stay in, room service is available, or stroll down to CRAVE restaurant, which serves classic American fare (and sushi). There is also a large bar area. For breakfast, they offer a hot cooked meal (be sure to check to see if it is included with your room). There is also a firepit, outdoor patio, and an indoor swimming pool. The hotel is comfortable, in a great location with plenty of onsite free parking and offers many great guest services. When you have finished visiting this vibrant city, don’t forget, a few minutes away is Palisades State Park. The park is a perfect stop for rock climbers and nature enthusiast. Afterwards, swing back into town to visit one of the growing number of beer brewing companies popping up here. There is so much more to see and do here in Sioux Falls, like the historic Washington Pavilion. The Pavilion is host to theater performances, art galleries, and over 100 hands-on science exhibits. The city also boasts several new luxury hotels, including an Aloft, in various stages of construction. Sioux Falls is definitely a place you will want to stop and give yourself a few extra days to explore. To learn more about this great travel destination and its many tourist attractions, as well as the top things to do in Sioux Falls, visit the Sioux Falls Visitor Bureau’s website at https://visitsiouxfalls.com. Contributor Cynthia Graham is a freelance travel writer and digital nomad traveling the world. She owns www.BlueBagNomads.com where she shares her travel tips and passion. Also find her on Facebook and Twitter. 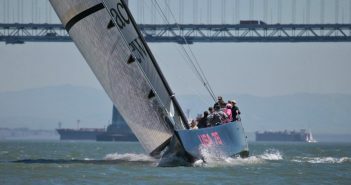 LuxuryUS.com is part of the LuxuryGlobe group of websites which focus on pure enjoyment and exquisite pleasure from around the globe. As we roll out our series of country-related websites users will be able to fast track to the country or city of their choice.